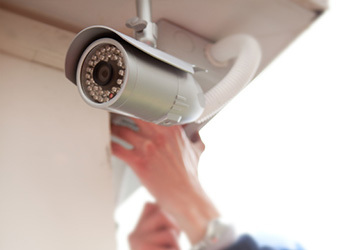 CCTV Systems provides security and assurance as well as acting as a deterrent to unwelcomed intruders. CCTV technology has the ability to work both in daylight and at night, making a properly designed and installed CCTV system a very valuable investment. Whether a business requires a single camera or a more complex CCTV security system, high-quality colour images are a reality, and can be easily managed through advanced storage, retrieval and monitoring systems. Installed internally as well as externally in the work environment, CCTV protects your people, property, vehicles and valuables. Remote monitoring is an effective economical security solution which provides peace of mind and reassurance that staff and property are in safe hands. Eagletech Security Solutions’s remote monitoring solution links CCTV systems directly to professionally trained staff in monitoring stations allowing round-the-clock surveillance and monitoring of premises. Trained operatives can alert emergency services or initiate other procedures, as required, ensuring a swift and appropriate response to any situation. Using digital technology, Eagletech Security Solutions CCTV systems are among the very best and most reliable camera systems available. Eagletech Security Solutions provide CCTV systems to fit all applications of business. Systems with integrated CCTV can be developed to deal with particular problems. For instance: Access Control system to provide confirmation against a stored image that a swipe card is being used by the card owner and not an intruder. Eagletech Security Solutions works with its clients to identify security needs, meet objectives, and develop systems to answer them. Eagletech Security Solutions will also help ensure its clients meet their legal obligations. Advanced digital technology lets CCTV work harder. Digital surveillance and recording technology offers many advantages; with Digital CCTV technology there is no need to replay hours of tape to search for an incident. CCTV footage can be searched by simply entering a date and time or applying a mouse pointer to a timeline on a monitor screen. During all these operations, normal recording continues, uninterrupted.